A public cloud is the standard and most well known cloud computing model that has taken the technology & IT world by storm over the last 5-10 years. By investing in & implementing a set of resources in a data centre and sharing access to this equipment across the public internet, a service provider can provide a fast service to multiple clients that is cost effective, scalable and flexible. VideoCentric are a UK leading integrator of cloud services for visual and UC communications, with a portfolio of best-in-class cloud services for all your communication needs. Whether you are looking to improve video communications across your workforce, enhance and upgrade your telephony through a cloud-based PBX, or access solutions as-a-service for analytics, deployment, management and firewall traversal, talk with our small and accredited cloud team today to discuss the best options for your business needs. Why use a Public Cloud Service? A public cloud has a large resource pool that can be accessed so as a company grows and needs more ports for multipoint conferencing, or an organisation requires a one off bulk recording & streaming capability, the capacity is available and can be provisioned almost immediately. With greater resources, a service provider benefits from economies of scale, resulting in a reduced overall cost of infrastructure passed onto the user. In addition, with less bespoke configuration of cloud resources, and with centralised management of equipment, costs are dramatically decreased. Plus, with the ability to scale when needed, an organisation doesn’t pay up front for capacity that is going to waste. And with some services offering Pay As You Go models and pay monthly offerings, such as available with the VideoCloud 365 service, you pay for what you need, when you need it, in a simple operational expenditure. Due to the fact that the infrastructure is hosted off site, internal IT teams are not responsible for the maintenance and support of the equipment. 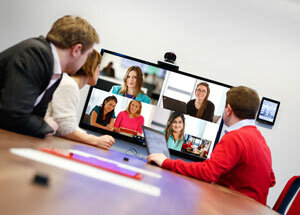 For Video Conferencing solutions, the infrastructure of which has long been a black sheep in the IT world with it’s complexity resulting in the requirement of specialist knowledge, a public cloud solution is seen as a more simple way to enable an organisation with video based communications, without the need to employ specialised staff. However, public cloud solutions are also known to have their disadvantages, and organisations need to keep in mind that moving to a public cloud means lower visibility and control, lack of investment & gained capital, and changes in security policies. Want to find out more? Chat with our cloud experts today. Whether video conferencing, voice communications, data collaboration or an entire UC portfolio, organisations are realising the huge benefits of utilising cloud services to enable them to utilise video network infrastructure and services in a more scalable, manageable and efficient way. What services are available through VideoCentric? What type of business can benefit from a Public Cloud? For small and medium sized businesses, a public cloud service provides access to solutions that were previously not available – generally due to the cost of implementing an on-premise solution being far too high. Where a small business could not justify spending tens of thousands upfront for equipment such as an MCU, a recording server, a firewall traversal solution and various gateways, many of the features and ports which may never be utilised, a pay monthly public cloud offering can provide just the features & capacity needed at a manageable monthly cost. For larger organisations, a public cloud solution can also provide many benefits – as long as security policies and bespoke configuration are not a concern. At a relatively low cost, a public cloud video conferencing service can enable a large organisation to deploy video at the desktop and provide interoperable mobile video to flexible workers across their whole workforce, quickly and easily. Where are Cloud services Hosted? There are a huge range of Public Cloud services available on the market today, including Software-as-a-Service (SaaS), Infrastructure-as-a-Service (IaaS), Unified Communications as a Service (UCaaS) and Platform-as-a-Service (PaaS) offerings. 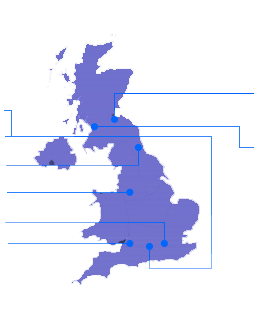 Many public Cloud services and applications available today are hosted within the global cloud networks of Microsoft Azure and the Amazon AWS, utilised to provide scalable cloud storage space, databases, analytics and consumer applications such as Facebook and Spotify, which enable photos, content & music to be accessible from anywhere. Providers such as 8×8 utilise their own global network, beneficial as it enables control and management over the platform – most providers of services are unable to do this due to scalability, cost and deployment. As the only 100% unbiased Video Conferencing Integrator, VideoCentric can assist you with making the right choice for your organisation. With both vendor solutions and our own VideoCloud offerings in our Cloud portfolio, we have a unique ability to stringently test each solution with and against one another, and provide the indepth knowledge required to any organisation looking at moving towards a public cloud. Why not start a Free VideoCloud trial? Our VideoCloud public cloud services have been designed based upon feedback from customers and their requirements, and based upon issues we have found in our test labs with regards to on-premise offerings and other cloud solutions on the market. Our full portfolio of cloud based services have been stringently tested to VideoCentric’s own expectations of excellent quality, security, user experience, scalability, interoperability and efficiency, and are used inhouse to ensure they can be fully integrated across multi-vendor environments. With focus on security, performance, interoperability & simplicity, VideoCentric ensure we only provide the highest quality and resilient Video, Voice and Data Conferencing services, supported by the UK’s most accredited and unbiased experts in their field. Feel free to contact us today where we can discuss each public cloud service available today, their benefits and drawbacks, and enable trials for your organisation of the solution that best fits your needs. Remember, your organisation might benefit further from looking at Private Cloud Solutions or a Hybrid solution for your video communications strategy. In addition, managed services, on-premise deployments and co-location offerings might be the best solution for you. Talk to us today to find out the best options for you, or discover more by taking a look at the products & services below!